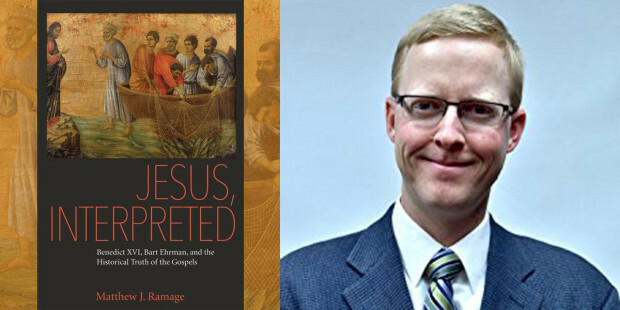 It’s great to see my new book Jesus, Interpreted getting some media coverage! First, my thanks to Tom Hoopes over at Aleteia for this nice review of my book. Then, there are a couple radio appearances to note. I will be talking about my book on EWTN Radio’s Sun Rise Morning Show bright and early July 5 at 6:45 central time. Later on Sept. 20th at 6 PM central time, I’ll make a longer appearance on EWTN Radio’s program Catholic Answers Live. In the meantime, Happy Fourth of July and God bless America! PS: Probably due to its appearance on New Advent the other day, the book is sold out on Amazon. It can still be bought there through third party sellers. Or you can get a copy directly from the publisher, CUA Press, here.